The HIMSS Insights team visited the new hospital, which opened its doors in September, earlier this year. 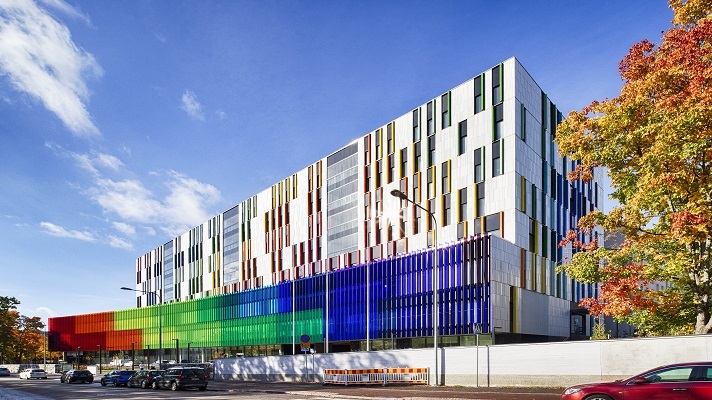 Since opening its doors to the first patients in September this year, the New Children’s Hospital in Helsinki, Finland is using a unique combination of art and play, recognised as key elements for a “healing environment", and the latest technologies available to support the children that it provides services for and their parents. With a total budget of €183m, €40m from the state of Finland, another €40m from the hospital district of Helsinki and Uusimaa, and €38m raised by a Foundation created for the new facility, the hospital is cultivating a culture of innovation – and the HIMSS Insights team went to find out how. In an interview published in the first issue of the new global Insights eBook series, Professor Pekka Lahdenne, Head of Digital and Innovative Services at the hospital, who specialises in Paediatrics, explained that an “efficient ICT infrastructure was a priority for future development of a modern hospital”. “A lot of effort was invested in ensuring that the ICT platform would provide capabilities for future developments,” Professor Lahdenne said. The full interview can be read here. A site visit at the hospital will be organised during the HIMSS & Health 2.0 European conference taking place in Helsinki, Finland, on 11-13 June.